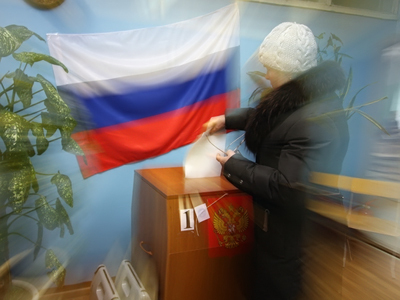 The United Russia party intends to gain the majority of votes in all 12 regions where by-elections will take place on March 13, the party leader has told the media. The chairman of United Russia’s Supreme Council and the speaker of the lower house of the Russian parliament, Boris Gryzlov, told reporters on Monday that the party can cater for those who are happy with the current political path as well asthose who seek change. “I think that our voters are those who want stability and those who expect changes. We know how to develop the right solutions and find balance in the interests of different social groups. Thus, I believe in United Russia’s victory in Spring 2011,” RIA Novosti news agency quoted Gryzlov as saying. “Bearing in mind that the State Duma elections are to take place at the end of next year, Spring will be of special importance for all political forces,” Gryzlov said. He added that United Russia saw its main task in confirming the status of parliamentary majority. “Elections are elections, the result is not pre-determined, but we will work for victory only,” the politician said. United Russia currently holds 315 of the 450 seats in the lower house of the Russian parliament. The party’s program is based on the support of Prime Minister Vladimir Putin and his course for political stability and strengthening of Russia’s role in the international arena.